Did you enjoy the Ekka? The Ekka celebrates farmers and their wonderful produce. It reminds us of the importance of bringing the paddock to the plate, and all in all the benefit of sourcing locally. Due to the short time period between harvesting the produce, and it been delivered to your plate, locally source food contains more of the volatile vitamins and minerals that are so often lost when food travels cross country. Crops can also be picked at the peak of their ripeness, which ensures they are full of robust flavors. So why not source locally? 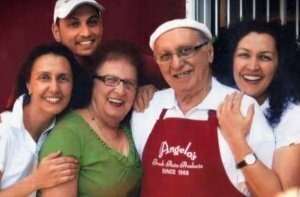 Angelo’s do just that. We pride ourselves on supporting local farmers and bringing the best product possible to our customers. We always buy local whenever possible. 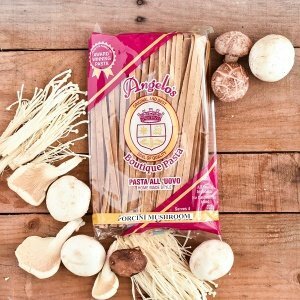 We use Durum Wheat to make our pasta. Durum wheat is where the husk of the wheat is removed to reveal the semolina, which is then ground down to flour. 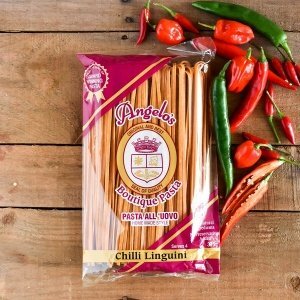 It’s a lot courser than ‘bread flour’, but creates delicious tender pasta, and also increases nutritional benefits. Durum Wheat contains much higher levels of protein than traditional flour. 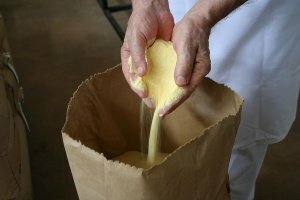 It also contains strong gluten content, which prevents starch from leaching out quickly. This means: slower digestion, slow release of sugars into the blood and a greater satiation (feeling of fullness). The gluten found in durum wheat is often kinder on your gastrointestinal tract, which leaves you feeling happier all around. 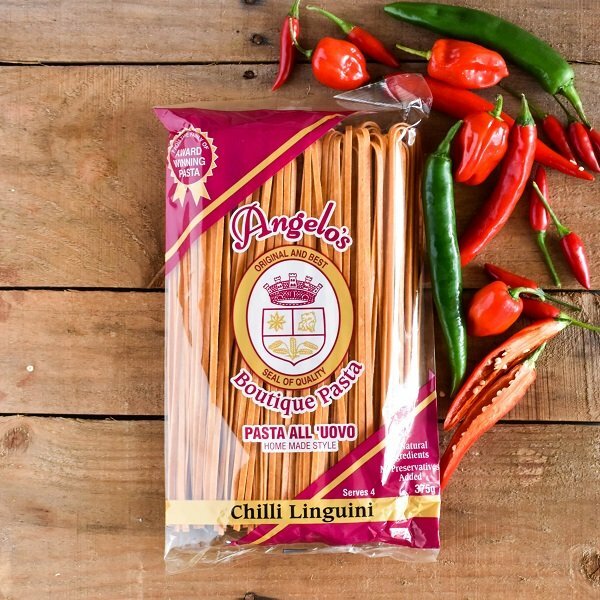 The best part, the wheat used by Angelo’s is sourced from Northern NSW from a region called the Golden Triangle. The Golden Triangle spans from North Star to Moree to Goondiwindi. Due to the growing conditions of this region, this area produces the best quality Durum Wheat. The processing Mill deals directly with Farmers to purchase their grain. The direct purchasing focus builds strong relationships between the farmer and the Mill and puts tight controls over the quality of the grain received. We support local dairy farmers by only buying private label milk. We having been doing this for nearly 50 years and will continue to do so well into the future. We are a local family business, so we support other families with our purchasing choices. 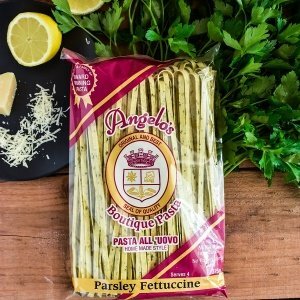 Duck Eggs are one of Angelo’s favourite ingredients to use not only in our pasta, but also in recipes. We only make our duck egg products, such as our duck egg contadina, when they are available from the farm. We source our duck eggs from a local farmer on the Queensland Sunshine Coast. Duck eggs have twice the nutritional value of a chicken egg and stay fresh for longer due to their thick shell. Many people who are allergic to chicken eggs can tolerate duck eggs (but if you aren’t sure, be sure to talk to your doctor about that one). Duck eggs are an Alkaline producing food, one of the few foods to leave your body more alkaline. We also support our local farmer by stocking duck eggs at our factory store. We regularly stock duck eggs and can always order them in when they are available from the farm. So, with the ekka in mind, why not try out our boutique range. It celebrates natural fresh and seasonal flavors at their best. They add that extra depth of flavor and colour to your dishes, with rich flavors captured between the durum wheat. The flavours range from mushroom to spinach (anything to get some extra greens on your plate!) to chilli and many more. Check out the full range on our online catalogue or come into our factory on Doggett Street, Fortitude valley.